The first step in any project is getting your ideas on paper, or in this case in a backlog. The backlog is where you list everything that needs to get done to reach your goals. Start off by putting in your big ideas, development epics, large stories, or whatever else you are working on. Next, you break down your large items into more manageable tasks, sorting and prioritizing as you go. Read this article for a more in-depth guide on how to use backlogs. When you have sufficiently detailed work items, you create a board that team members can drag the cards to. By letting your team pull cards onto the work board, you make sure that they are in charge of when to do the work. This is important to keep in mind throughout the process. By pulling instead of pushing work, you naturally avoid over allocating. The card will be pulled through the board until it reaches the rightmost column and is completed. It is a good idea to use things like card limits to make sure there's not too much work being done at the same time. 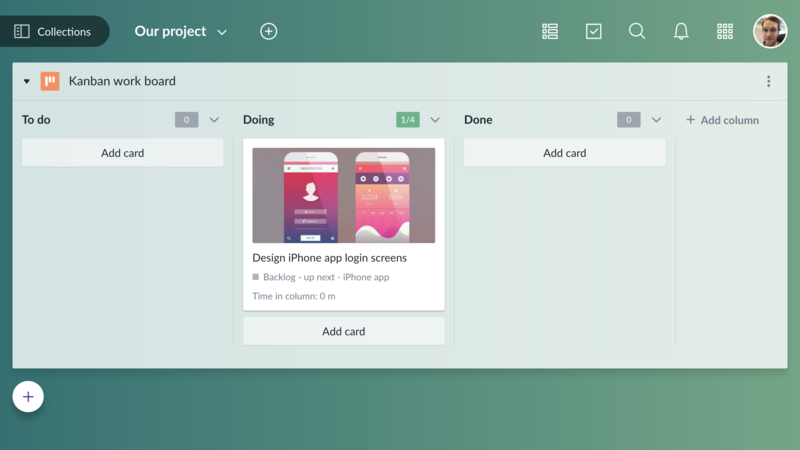 A good rule of thumb is to limit work in progress to one card per team member. 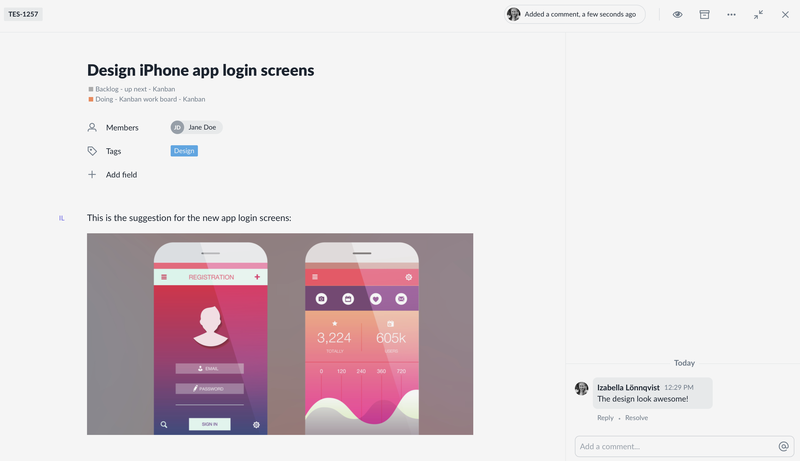 Read more in this article about making work flow on team boards. As the card moves along the board, conversations happen and further details are added. You can add as much or as little information to the card as you want. You can tag, assign, set dates, create checklist, and much more. 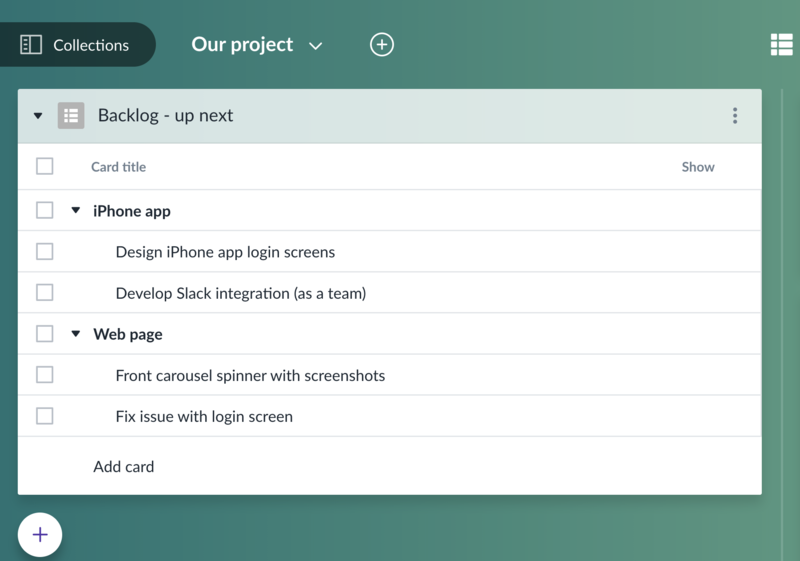 In Favro, managers can prioritize and organize projects in backlogs, and keep an overview of the status of any item. 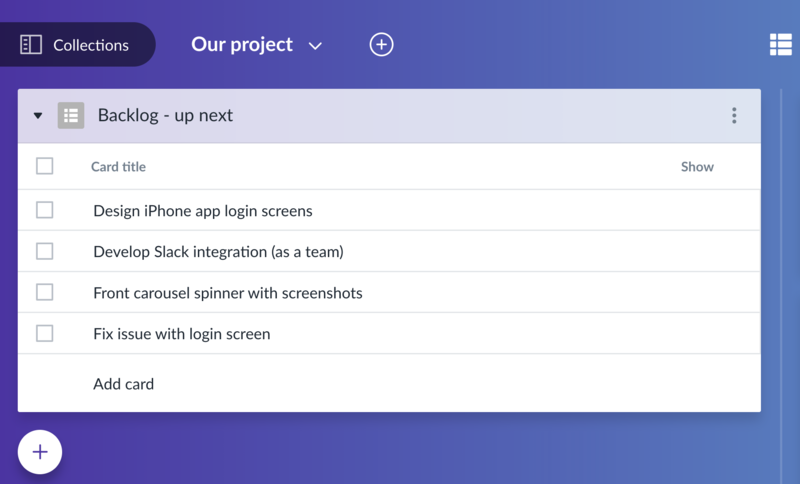 Teams on the other hand can work in separate work boards where they pull in work and work in progress is controlled. 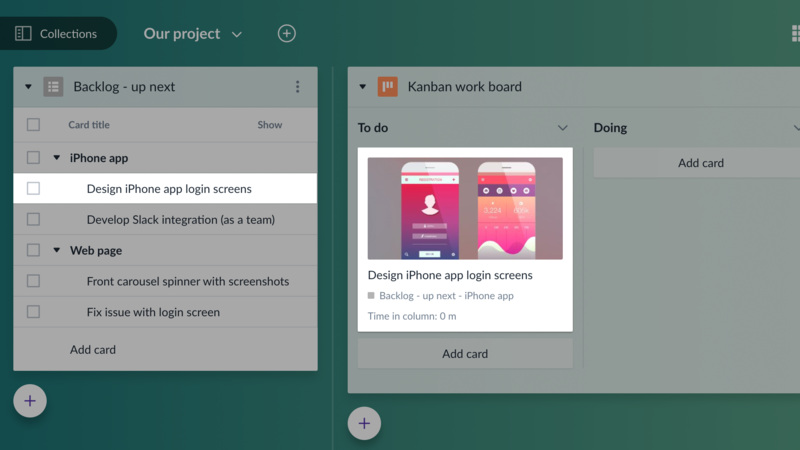 This approach of project backlogs and team boards lets you quickly improve and keep track of all your ongoing work.